“It’s like getting to ride the coolest, baddest roller coaster. It’s exciting just thinking about getting on board. 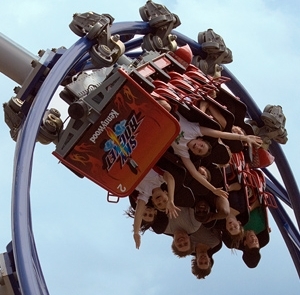 Then, that first ride is so exhilarating that you want to do it again, and again. But when you’ve had enough and are finally ready to get off, the ride conductor smirks, telling you that you don’t get to choose when you can get off. “Swoooosh… you’re off on another and another ride”. Some people can’t take the ride for too long. Others chicken out and leave the line even before the first ride. Then, there are those who never want to get off. The thrill drives them. They are start-up junkies or even deal junkies. They thrive on the wide gyrations of emotions. On any given day, your vision is headed for unimaginable success, or it is about to crumble on top of you. Posted in Company building and tagged Company building, small business. Bookmark the permalink. Can I have some cotton candy with that?